I've been looking at old pictures tonight because I'm missing my parents. Sure wish I could turn time back. Isn't this a great picture of my folks? My dad is wearing one of his inevitable hats. He had fabulous hair. It seems a pity to have covered it. My mother looks so happy. They must have been in love because I'm sure the mosquitoes would have been hovering in clouds. I'm surprised they don't show up in the picture. The alpine scenery of Blue River makes such a perfect backdrop for a young couple breathing the rarefied air of true love. That's so good to have. I wonder who took the picture? Looks like they're hiking so it was probably my aunt. 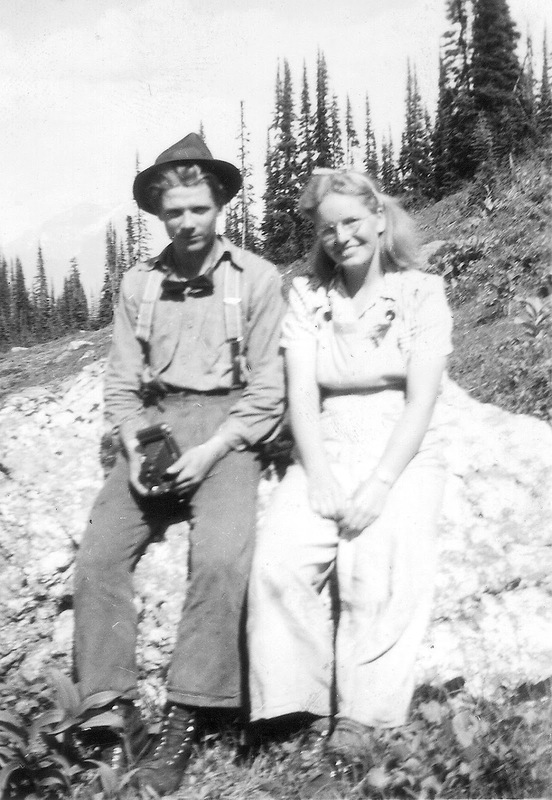 The Nelson's were a hiking sort of family.